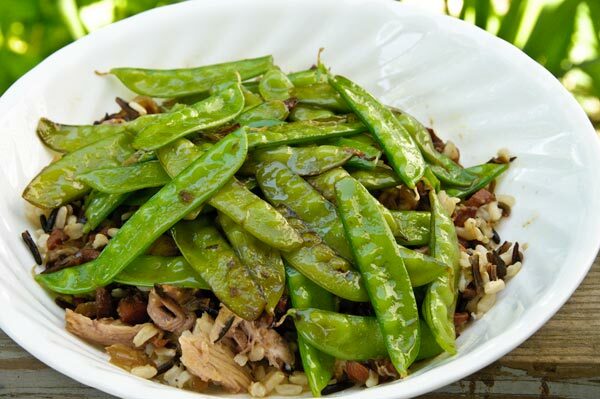 My favorite snow pea recipe isn’t much of a recipe. I like them best fresh picked while I’m standing in the middle of the garden. I like them steamed, too, and in stir-fry dishes. My favorite recipe, though, is Snow Peas with Caramelized Onions. It’s a flexible recipe, more of a general way of cooking them than a specific cookbook style formula. 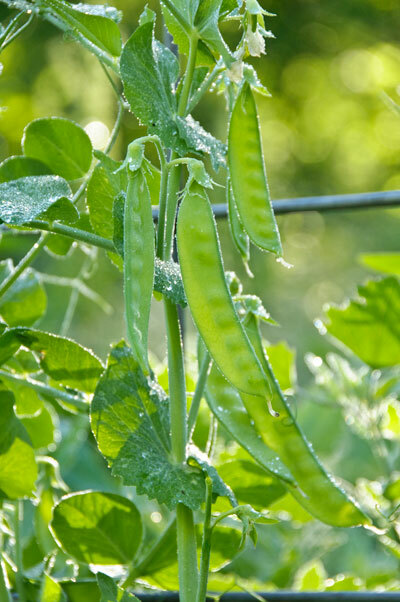 It starts with picking the peas and trying your best to not to eat them all before you get to the house. Onions are a requirement, but beyond that, there are no hard and fast rules. 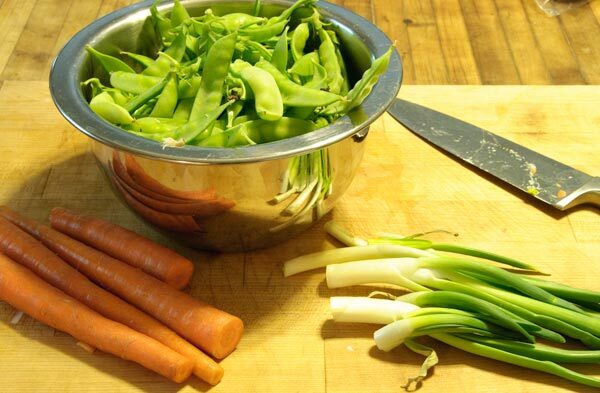 To make Snow Peas with Carmelized Onions exactly like I did the other night, you’ll need two onions, coarsely chopped, and about an equal amount of chopped carrots. 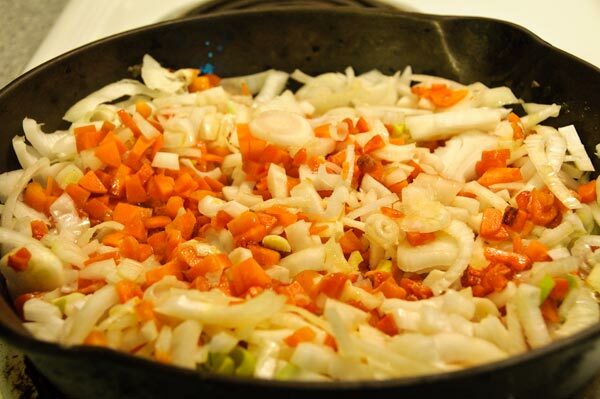 Melt a generous portion of butter in a skillet, then cook the onions and carrots on medium low heat until they begin to brown. (Olive oil works just as well for those of you watching your cholesterol.) Add salt and pepper to taste. Rosemary is good, too. Or a bit of cayenne if you’re in a spicy mood. I used two medium-sized yellow onions that were sprouting. That’s because those two needed to be used, not because of any specific recipe requirements. The carrots had seen better days and needed to be used soon, too. Most nights, I’m pretty much a seat-of-the-pants cook. I like to use what’s on hand or in season, and I like to improvise. Within reason and good taste, of course. Some food combinations are not meant to be. Since the green tops cook fastest, I waited to add them until the rest had cooked about halfway. But its okay to go ahead and chop them, and maybe think of something to do with those extra carrots. I’m bad at estimating quantities so I tend to overcompensate and end up with more cleaned vegetables than I need for a recipe. I sliced these carrots into strips and called them snacks. 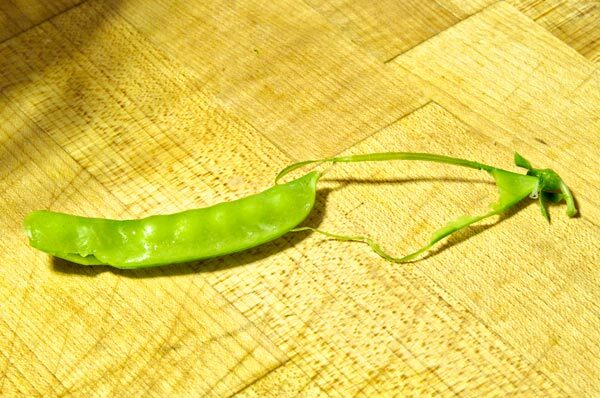 While the onions cooked, I sorted through the snow peas I’d picked from the garden. Some were a bit past their prime and had filled out. A taste test proved they were still tender but had tough strings that needed to be removed. When the onions and carrots are finished, scoop them into a bowl. 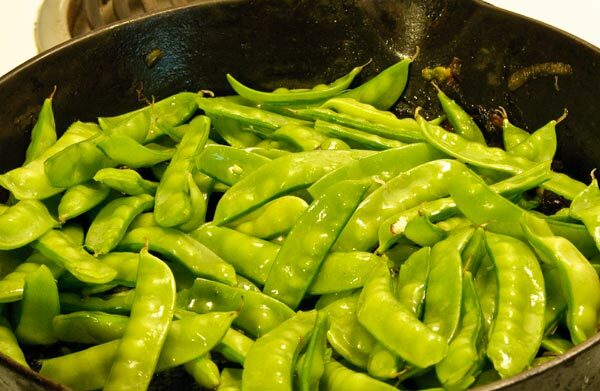 Add a bit more butter or olive oil to the skillet, then toss in the snow peas. 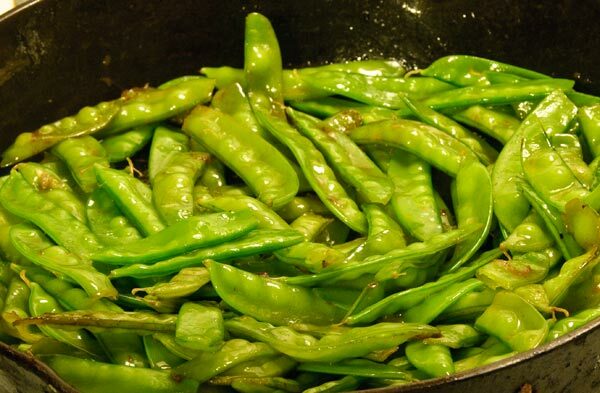 When using home picked snow peas, I add the thicker ones first and let them cook for a minute or two before adding the smaller, thin, sweetest ones. Toss the peas in the butter (or oil) until they’re shiny and well-coated. Then stir every 30 seconds or so to keep them cooking evenly. 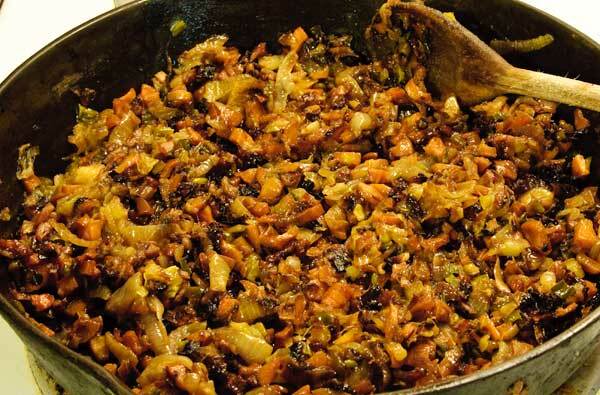 They’ll pick up a bit of brown color from the residue of the carmelized onion and carrot mixture. I think of it as an extra layer of flavor. When peas are thoroughly hot, but still have a slight bit of crunch, remove the skillet from the heat. Layer rice or noodles, the carmelized onion mixture, and peas in a bowl in the proportions that seem right to you. I added chunks of rabbit meat I canned last fall to mine. Stir-fried chicken strips, beef strips, or even fish will work, though each adds a distinctly different flavor to the dish. Julie – thank you, you’re so sweet.